The Night Writer 2 Pack is our latest in a series of incredibly useful LED powered writing instruments. 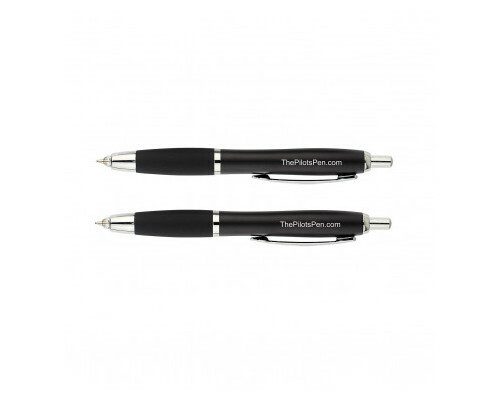 Designed for anyone who needs to write or take notes in dark or low light conditions, the pen features 2 super-bright white LEDs, a medium point black ball point ink cartridge and a unique 4-way top cap switch that alternatively extends and retracts the ink and activates the LED light. Packaged in a value set box of 2 pens, 3 extra ink cartridges and a replacement battery pack, the lightweight pen features a rubberized lower finger grip for improved feel and operates for at least 20 hours on a set of batteries (additional batteries and ink available from us - see ASINs: B00IDFD0JM and B00MEM1ZYC). The four (4) internal button cells (size AG4) are packed in a small battery pack that makes using and changing batteries easier. Uses common Cross 8518-4 Mini Ball-point pen refills (available from us or in retail stationary stores). Includes an instruction manual and diagram for changing ink and batteries. The improved top switch makes using the pen and LED lighting super easy. Safe to carry in shirt pockets and easy to use anywhere or anytime - day or night.